I bet you would have never guessed you would searching for the best “anxiety therapy in Tampa” but here you are… trying to find the best therapist to fit your needs. I know, I get it. It’s incredibly overwhelming looking at a sea of therapist searching and scrolling for the best fit for you. But how do you know what to expect from anxiety therapy in Tampa? At Aniesa Hanson Counseling we try to make this process as painless as possible. The last thing we want to do is cause MORE anxiety while you’re trying to find someone to address your anxiety. I know it seems isolating, but anxiety is everywhere. Anxiety is something that touches us all. Many people deal with moderate to severe anxiety without even knowing they have a problem. Anxiety is now leaving one in three people seriously affected in its wake…. But it doesn’t have to stay this way. 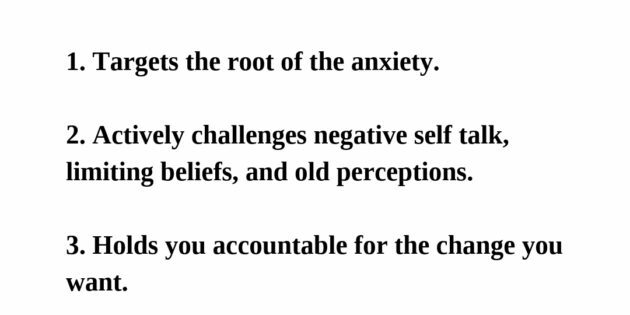 Target the root of where the anxiety is actually stemming from. Is it because your husband left the refrigerator door open?… I don’t think so. Actively attack and challenge negative self-talk and limiting beliefs that have been running the show. These thoughts have not been serving you and need to be changed to live an anxiety-free life. Anxiety therapy in Tampa holds you accountable to the changes you want to make. How many times have you wanted to get rid of your anxiety but didn’t know where to start or didn’t feel like you had the energy to address it? We give you scaffolding you need to make your goals reality. Anxiety does not have to be a permanent fixture in your life. It takes a skilled therapist to find what is causing your anxiety and how to target it. That is why we take such great pride in the work we do. We specialize in working with people with anxiety issues. It’s what we do. Our goal is for you to reach your goals. We take an individualized systematic approach to therapy. During your Free 15 Minute Phone Consultation we will be completely honest if we can help with your issues or not. Our primary goal is your results. Sign-up here for a Free 15 Minute Phone Consultation to see if we can help you!